1st president of Egypt Gamal adbel Naser. Gamal Abed Al Nasser was born in Alexandria in 1918. His family came from upper Egyptian small village called Bani Myrra, Assuot. Nasser came from a modest background as a son of a postman. He got his education in the Military Academy in 1938- 39. He participated in the war against Israel in 1948 as a major. In 1949 he joined the Free Officers, who plotted against the non-constitutional British all- pervasive presence, the landowning elite and the weak and morally corrupt king. The Free Officers were responsible for the coup that deposed King Faruk from the throne in 1952 and it was Nasser who was the real leader, yet he still remained on the background. After a long fight over power with president Naguib he ousted him in the second attempt, on November 14, allegedly for having known of the Muslim Brotherhood's attempt on Nasser's life in the month before. Soon after taking power Nasser negotiated an agreement with the British, ending their 72-years presence in Egypt. After being officially elected as a president in 1956, he also promulgated a new constitution, that gave the presidency more power. Nasser's political system was called Arab socialism. With this program he confiscated 243,000 hectares (2,430 km) farm land from a small group of rich landowners. Later on in his presidency he nationalized banks and industries. In 1956 USA and Britain withdrew a promised support for the construction of a new Aswan Dam and Nasser responded with nationalization of the Suez Canal Company, as he wanted to finance the construction of the dam with the income from tolls on the traffic on the canal. The nationalization of the Suez Canal was met by an Israeli invasion of the Sinai peninsula and an Anglo-French invasion of the Canal Zone. But the invading forces were put under pressure from the UN, and had to withdraw. Egypt kept the full ownership of the Suez Canal and managed also to get Soviet support for the construction of the dam, which was completed 14 years later. Following this, Nasser rose to stardom in the Arab world. In 1958 Egypt and Syria formed the United Arab Republic, with Nasser as the head. This was at this time considered as the first step towards Arab unity. When it broke up in 1961, after a coup in Syria, Nasser kept the name United Arab Republic even if it was only Egypt left. This was meant as a symbol for his aspirations of Arab unity (the name was changed the year after his death). Nasser's ideas were laid down in his book of 1959 "The Philosophy of the Revolution". He precipitated the third war with Israel, when he in 1967 both expelled United Nations peace keeping forces from the Gaza Strip and blockaded the Gulf of Aqaba for traffic on Israel's port Eilat. But when Israel attacked Egypt on June 5, it was so strongly the first day that Egypt was in reality beaten already. Still the fighting's continued for five more days. The only effective action of the Egyptians was to close the Suez Canal for all ships. The humiliation of Egypt was so deep that Nasser offered to resign, but the people demonstrated in such numbers in his favor, that he continued, and also took the position as prime minister. From this time on Nasser's government became increasingly dependent on military and economic aid from the Soviet Union. Nasser died on September 28, 1970 from heart attack, while still in the office. President of Egypt from 1970 to 1981. Sadat's background was military education. He was arrested twice during the World War 2 for cooperating with the Germans and put to trial for plans to assassinate a politician in 1946, but was acquitted. He was active in the dissident officer's actions of freeing Egypt from British control, together with Gamal Abed Al-Nasser. Sadat was on Nasser's side with the coup in 1952 and later the deposing of Neguib. Sadat was vice-president in two periods, 1964-66 and 1969-1970. With Nasser's death in 1970, Sadat was elected new president. To have been one of Nasser's closest associates, Sadat set a new course surprisingly independent from Nasser. While Nasser had oriented himself away from the West and started cooperation closely with the Soviet Union, Sadat sacked 20,000 Soviet military personnel two year after seizing power. In 1973 Sadat was one of the instigators of the Yom Kippur war against Israel, but this only gave part of the victory he had hoped for (which was regaining control over the Suez Canal, a very important aim for him). But the war demonstrated that the Arab military was now at least as strong as the Israeli (which needed US aid to fight back the Arabs). The Yom Kippur war regarded as a victory for Sadat, especially compared to the falling star of Nasser in his last years at power. Sadat's rising star on the Arab sky, dropped to the ground in 1977, when he surprised the world by visiting Israel. This visit was to a large degree motivated by the economical problems after many wars with Israel. In Israel, Sadat spoke with prime minister Menachim Begin, and gave a speech in the national assembly of Israel, the Knesset. 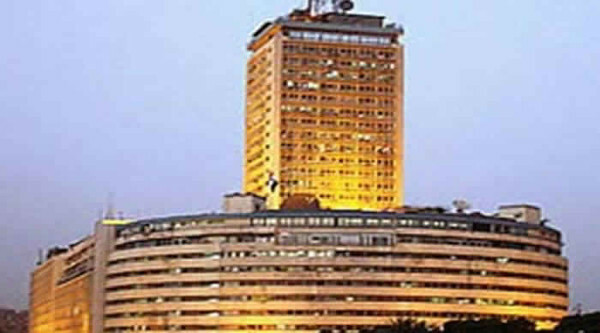 The result of the talks that started here, was the so-called Camp David agreement, officially signed on March 26, 1979. The treaty was in two parts: Israel should give up land taken from Egypt in exchange for peace. The other part, that should secure the establishment of a Palestinian state and no more building of settlements on the occupied territories, was never fulfilled from Israeli side. While the international society rewarded him with the Nobel Peace Prize in 1978 (together with Menachim Begin), the treaty with Israel isolated Egypt in the Arab world, and strong opposition was expressed from the Islamists. In September 1981, Sadat gave the order to round up 1,600 dissidents, Islamists and Communists. One month later, on October 6, he was shot by three soldiers under a military parade in Cairo. After the Revolution of 2010 a new elected president of Egypt became a member of Muslim brotherhood Mohammed Morsi. 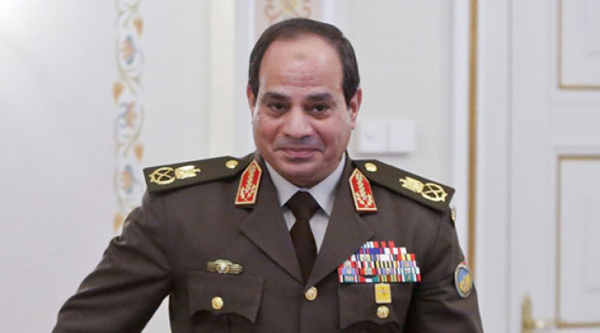 And in 2014 a newly elected president is a general Abdel Fatah al-Sisi.